NHL went back to school today and I began my mission. No, not the potty training of my two year old. 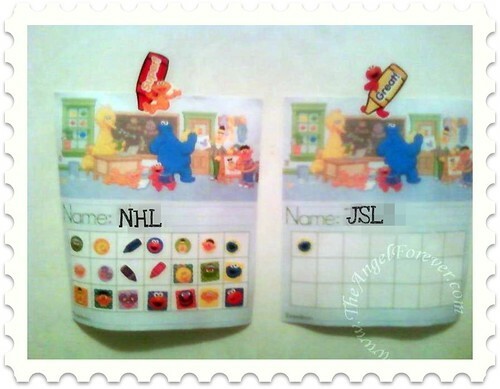 That one is on hold for this minute, Over break, big brother NHL and JSL were both given potty charts in the bathroom. Stickers were rewarded each time they used they potty. Care to guess what happened? Both of the boys received a Sesame Street chart to fill with stickers. The little guy saw NHL use the potty and get a sticker. JSL immediately begged to get onto his Diego potty seat. Within a few minutes of concentration, he had a sticker on his chart. NHL knew that if he filled up his chart he would get a prize from us. The 6 year old learned to exploit the system. He went to the potty to pee more times in one day than I can remember. I finally had to set a rule that he could not simply have 2 drops count for a sticker – OY! 2 year old went onto the potty another time. This time he sat there for over 30 minutes (allowing my laundry ready to come out to wrinkle) and did nothing. He got off and wanted a sticker. Mean Mommy told him you need to pee or poop for a sticker. NHL continued to use the potty and filled over half of his chart in a day. This weekend, we bought NHL something special for helping out with the potty training Olympics. JSL’s chart still remains at 1 sticker and new plastic potty training pants are ready for when he expresses a little more interest. Back to today. While NHL was off in first grade learning more about subtractions, how animals grow and digraphs, I decided it was time to look into preschool for JSL. Denial is rough, but the reality is that September is coming quickly and spots fill up. I made a phone call to a local organization that has lists of preschools in the area with contact information. Less than a half hour after my call, I had an e-mail with the names of about 20 places. When I narrowed the list down, I had five places to call (being Jewish church based schools are not an option). The locations are all close to us. Still, we need a little more information to compare all of the options. I know that two are 2 1/2 hours 3 days a week. One has a lot of options on days and the other is 3 days a week for 4 hours a day. Two of the locations are higher on my list from prior experiences there. The only issue with one is that we would have an additional membership fee to pay. Of course, then we would have pool access along with a gym and other options. The front runner is the place that I loved last year when we went to see their 2 year old program. The only reason I passed was the price tag for a 2 year old. They also mentioned that they had early drop off option and flexability for extended day. This would be fabulous IF I could line up substitute teaching. You know, keep my foot in the door in some districts/schools while paying for nursery school at the same time. Wednesday, we are going to see one of the locations, another on Friday. Both of these are my "favorites" and I like their potty training philosophy. The third told me to call back when I can secure a place for JSL (why he can’t go kind of bothers me) and the last has to call me back. So, do you have any items that you think I should ask when I visit these locations? This is new to me since NHL went to a daycare center that had a preschool program built into the day. Thanks in advance. Now I am off to hug my baby and try to forget that he will be going to school in the fall along with his big brother. . . even if it is only preschool for now. So, is the “why” because he’s not yet potty trained? Can’t figure out what else might be the why. .-= Kim´s last blog ..Getting healthier in 2010 =-. I wouldn’t like that you can’t bring him and that would immediately cross that place off my list. I have no other advice, having the same preschool-within-a-daycare experience. Oh and NHL exploiting the potty chart to get a prize cracked me up! .-= Nancy T.´s last blog ..2010 Goals =-. I would ask a lot of the same daycare questions. Ask about discipline policies. Ask about expectations for the kids. And I would ask what their academic philosophy is too. Good luck!! .-= Upstatemomof3´s last blog ..The Day I Dreamed Of =-. With JSL’s seizure history, find out how many teachers know first aid and how far are they from an ER…. (I know seizures have nothing to do with first aid, but having SOME sort of training may mean calmer heads). .-= Kmelion´s last blog ..HTML stuff =-. How about one that has real time video that you can view on your computer or cell phone. Perhaps I’m asking too much but I sure do like the idea. Good luck with it all Beth! Saw this link on the page for Lifetime Moms. Go you! I think potty training in preschool is really important. 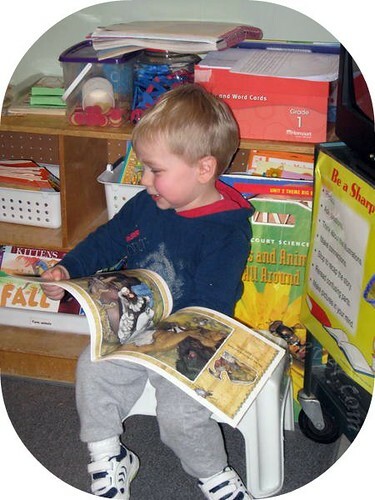 At my son’s preschool, the teachers are happy to work with the child who is learning. At my friend’s son’s school, they do not, and it’s frustrating for her. .-= Holly at Tropic of Mom´s last blog ..Sky and sea =-. I am getting ready to start potty training my 2 year old. I think I will try a chart because he is really into rewards. I love the pictures of the 2 charts together! I have 3 boys and they all like to compete.